This is fantastic local race which consists of 5km laps, do as many as you want from 6pm till 6am. So a great way to see what your endurance limits are, amazing running all! Thanks to all who supported our runners. I only entered this race last minute as a result of accidentally booking the full weekend off of work. I wasn’t race fit but my Mum would be there attempting her first Ultra Distance and I knew DAC would be showing a good turn out. I wasn’t to be disappointed. It was a brilliant sight to see so many new DAC members there pushing for personal bests. 3 years ago ultra running at DAC was not a sentence that sounded right, but now there appeared to be as many members as you’d expect at a road race. I put on my proud DAC Ultra Captain Face and started my race. I’ve not been to track as much this year due to work commitments and a certain lack of mojo, but dam did I enjoy this race. i enjoyed seeing so many new DAC faces at the race! I heaved out at speed with the lead pack for the first lap to avoid the bottle necks on the thin trail. By the 2nd lap I’d settled into 5th place and the slog was on. I knew I wasn’t fit but wanted to test my mental strength. With flu like symptoms hitting after 3 hours of running my positive drive plummeted. Another 9 hours of plodding around a 3.something mile trail was not what wanted to do but by reminding myself of family, friends & team mates who were fighting their own personal battles, I reset my head and dug in. I pickup up at around 2pm and started to enjoy the run again. By 4pm I’d worked out that I was still on for 60 miles which was my target. I also found out that the lad I was running with was the lad who was on course for breaking the course record. Although this boosted my confidence I knew I was in no state to keep with him so I wished him well and dropped my pace. By half 4 my mind had worked out that I was 1 lap off 60. I spent my last 2 Laps running with my Awesome Wife who had crewed me all night, then my last lap solo cheering on everyone on the course that I met. Finishing the last stretch of my last lap with my Amazing Mum (who was now Ultra Mum with 30mi herself) I was told that I had finished in an unofficial 5th place with 60mi in the bag. Happy day’s indeed. 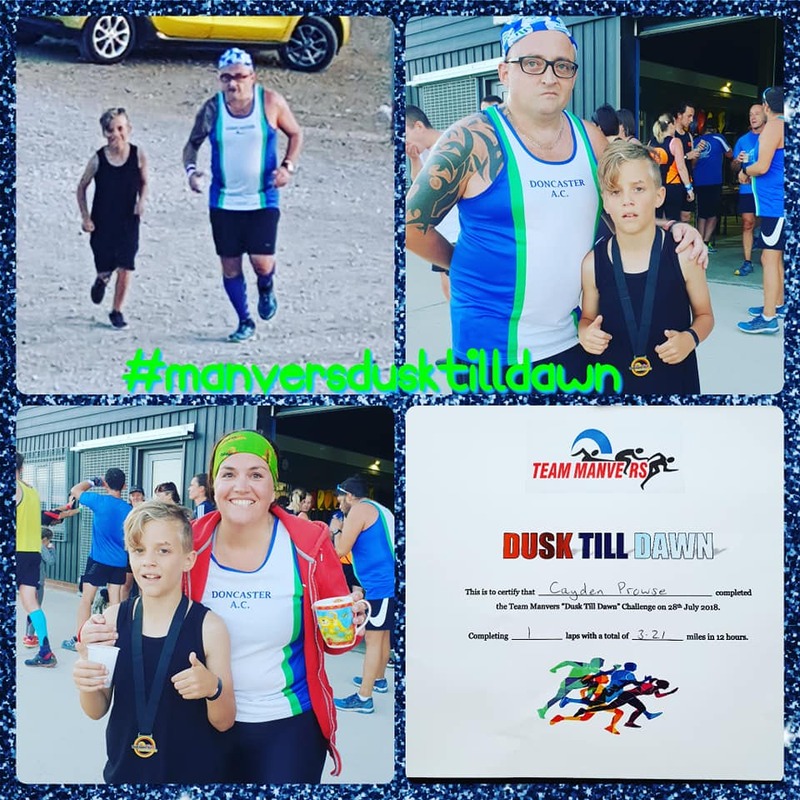 Manvers Dusk till Dawn absolutely fantastic event, 3.21mile loops, as many as you fancy over 12hrs. Never done a run like this before but I didn’t have to worry as this event is perfect for all, first timers and veterans alike. The course is fab, just lovely to run, during daylight and with my head torch at night. The organisers and volunteers were superb, encouraging and supporting, offering advice and guidance. The food…well what can I say about that…salty potatoes to die for, a never ending supply of toast and tea on tap…awesome. They really did cater for everyone. Fellow runners out on the course offered words of encouragement as either they passed you or you passed them, the most social event I’ve been to by far. 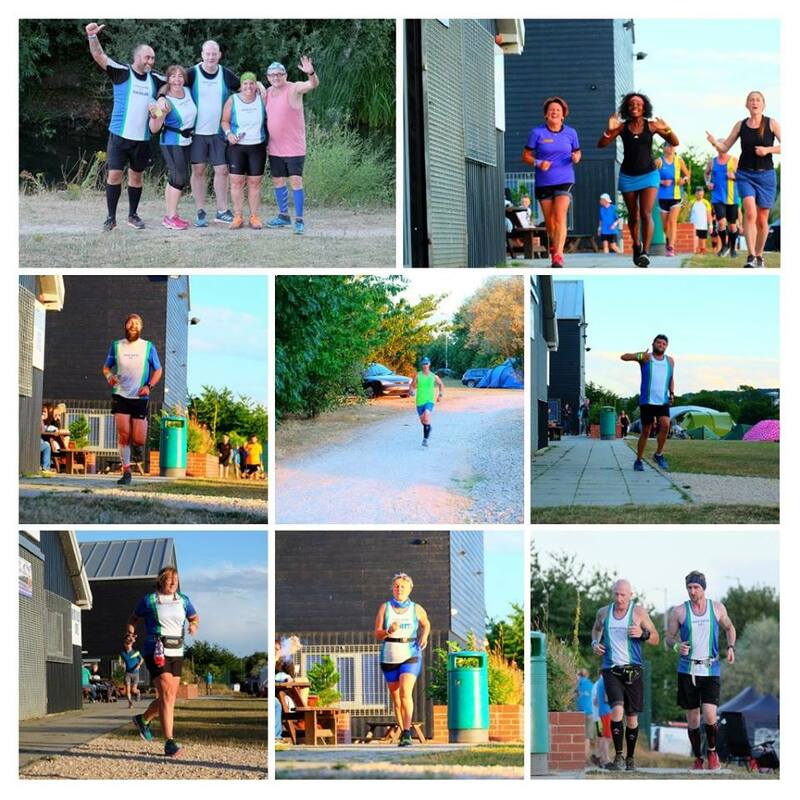 I had the privilege to run in my DAC club vest with the most amazing company and support from my fellow team DAC runners…plus our fabulous support crew that always put in a good showing. My boys and mum turned up as a surprise to offer encouragement for a while and my little runner Cayden got talked into a lap with his dad. I shared a lift there and a gazebo with 4 of my fab DAC family… Barry, Darren, Tracie and David. We shared laughs, nerves and excitement, each one of us achieving PB distances and entering the unknown. Guys you did amazing. Cant recommend this event highly enough. 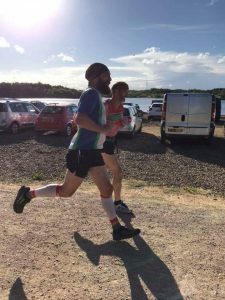 I went from being ecstatic at doing my longest run 18 miles longest run back in January when my fellow DAC team mate Fiona was marathon training to running 32.1 miles and becoming an ultra runner. I will be back next year and try and beat my 10 laps.